Weight loss is an important step in preventing diabetes in overweight and obese individuals. However, skipping breakfast(1) to save on calories is not the way to achieve this goal. In fact, new research has found that not eating breakfast may actually increase an overweight persons risk of getting diabetes. Typically, glucose levels in the blood are lowest in the morning, then elevated after we consume a meal as the body breaks down the food and converts it to glucose. The higher levels of glucose spur the pancreas into action, causing it to secrete insulin so the glucose can be absorbed by the body’s cells to be used as a source of energy. Clinical studies shown in the case of a overweight person, both their insulin and glucose levels were significantly higher after lunch when they had skipped the breakfast (1) as compared to the day that they had eaten a morning meal. The insulin response, which is how the body reacts to rising blood sugar levels, was 28 percent greater on average in the persons on the day that they had missed breakfast. The glucose(2) response, or how much the blood sugar level rises, was 12 percent greater. That means that not eating breakfast forced their bodies to have to produce much larger quantities of insulin to properly digest their food. As skipping breakfast(1) is not a good way to start a new day – dos that mean you should eat any kind of food in the morning? Of course not. As better you choose your breakfast, as better it will support your healthy life and may prevent or reduce diabetes risk. It’s shown that a protein based balanced breakfast (protein, vitamin, fibre and minerals) promotes a healthy beginning of your day and balance your insulin and glucose level. Therefore – YES, the Breakfast is the most important meal! Just don’t load up your breakfast with pastries, with coffee or fried stuff or allergy-inducing, immune-destroying, hormone-laden milk, cheese, nitrate-spiked breakfast meats and buttered toast. The good news is that diabetes is often preventable, even once it has begun to take effect. Therefore, anyone who is overweight should begin exercising and eating a more nutritious, healthy balanced diet and exercising daily to shed excess pounds and remove two of the major diabetes risk factors right off the bat. And based on what we learned from our first study, make sure to start each day with a healthy breakfast–that is a complete balanced meal that combines with the other meals that you eat during the day to provide 100% of your nutritional needs (protein, essential fatty acids, fiber, vitamins/minerals, phytochemicals, etc.). That means you want to consume approximately 33% of your requirements for everything at breakfast. Where diseases such as diabetes are concerned, it is important to not be our own worst enemy. In SlimNFitClub, we help you with the exercise AND with our teachings about making smart food choices and learning how to improve every day by adapting small but easy changes in your meal plan and food selection. 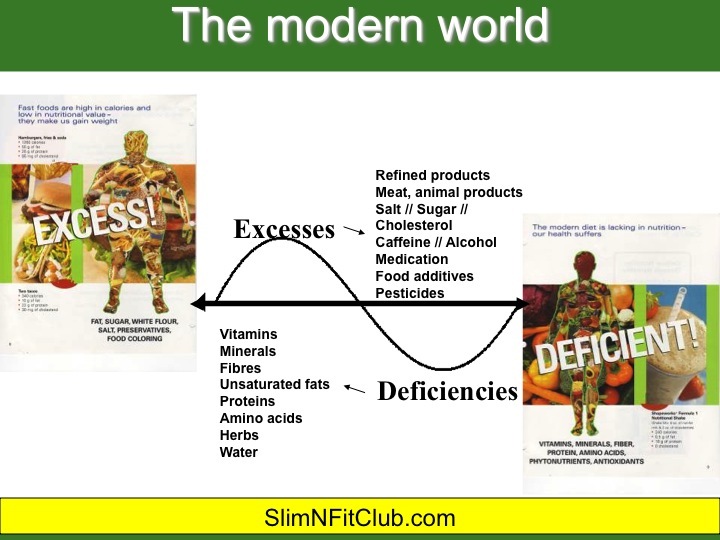 We believe that exercise only accelerates what we are doing right on our food choices. 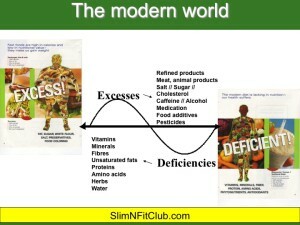 SlimNFitClub promotes both equally – nutrition and exercise! And this leads to a great and healthy life!